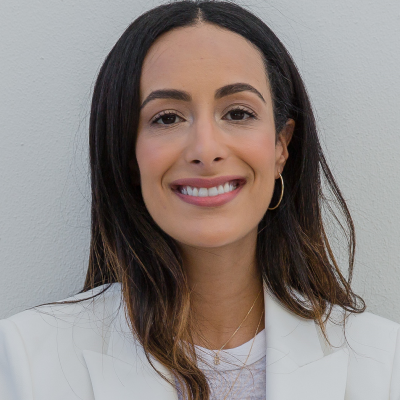 Bouchra Ezzahraoui was an interest volatility trader at Goldman Sachs when she and her co-founder, Sophie Kahn, were inspired to launch AUrate. The two were at brunch one day in 2014 lamenting how there were no fine jewelry brands that were doing modern designs for women like them at an accessible price point after a name-brand gold ring turned Sophie’s finger green. This conversation spurred their decision to start their own jewelry company that would provide affordable, modern designs that would make no concessions on quality, fair pricing, transparency and ethics. Today, AUrate is disrupting the traditional fine jewelry model by offering modern, essential pieces made from ethically-sourced, high-quality materials at an accessible price point. They have a fully transparent supply chain so they know where every diamond, precious stone, and pearl comes from and ensure that workers are treated and paid fairly. AUrate has a distinct design point of view and creates minimal, contemporary styles that every woman dreams of. Founders Sophie Kahn and Bouchra Ezzahraoui approach jewelry design the same way they approach their wardrobes, a solid foundation of well-made classics with the occasional wild card to add a bit of interest.